I'm a heavy GPS users. I enjoy knowing that I am taking the most direct/shortest travel time route. I use it even in my hometown to avoid traffic and construction. But while I am a fan, the technology is built into pretty much every phone sold today...so I've been wondering "How long will they continue to make a standalone GPS?" With the world of convergent technologies, I just figured these standalone devices won't be around much longer. But I still see them advertised, I see people using them and often wonder..."Don't you have a smartphone?" So I thought I would dig in and see what you get with a modern, standalone GPS. I'm focused on the standard automotive/portable type of GPS. There are a slew of other options for marine, motorcycle, outdoor or fitness products that I am not covering in this review. There seems to be three key features to the standard breed of GPS today. First many of them have Bluetooth features like providing the ability to sync your cell as a speakerphone. Another great addition is real-time traffic information and routing options. And lastly, a new breed of voice command GPS units that make them ideal for hands-free use in a moving vehicle. So I'm presuming with this write-up that you have a need for such a device and are starting there. You have a vehicle that did not come with navigation or have an "on-the-go" need for GPS guidance that a smartdevice doesn't cover. One benefit might be that you don't use "data" when traveling abroad and don't want to call up Google Maps on your phone. Data plans when traveling abroad are extremely cost prohibitive. And there are some smartphone solutions which I'll cover in a future article. My past experience has been with the Nuvi line from Garmin and found the 1400 series their popular line-up today. Last year's model the Nuvi 1490 LMT has been a runaway hit online and has garnered a lot of good buzz. It is an especially feature-rich product for the money. The large 5-inch diagonal LCD has a very readable resolution of 480x272. This product also features Bluetooth technology enabling hands-free calling. It retails for $260 but you can currently find it online in the sub-$200 price range. There are cheaper versions of this product but the LMT version includes Lifetime Map updates and real-time Traffic. The 1450LMT version is the same for under $170, if you can live without the Bluetooth hands-free features. Overall I like the way information is displayed on this Garmin. The ability to preload 10 routes and saved waypoint can come in handy for long trips. The "lane assist" pops up a clear image of which lane you need to be in at major junctions along your travel plan. And the ecoRoute feature calculates the most fuel-efficient route and tracks your fuel usage. This value GPS is not the latest model but proves to be a great buy at a street price under $100 (I've seen it for around $80 on occasion). 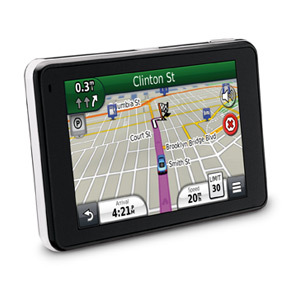 You get a solid and reliable route finding product with a good 5-inch display. It is not the most user friendly but overall is a favorite for the price. It does an excellent job finding the fastest route and its Advance Lane Guidance clearly illustrates which lane you should be in. This base product does not offer Lifetime Map nor Traffic. The XXL 540TM model is available with traffic and map subscriptions for around $120 but once you get into this price range I would highly recommend the Garmin Nuvi 1350LMT for $130 online price. The Garmin has a slightly smaller 4.3" display but overall is a much nicer product. 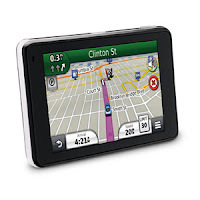 Nowadays it costs $1,000 or more to get navigation with a new car purchase, so $400 for the ultimate in a personal, vehicle GPS solution is a steal. If your car doesn't have navigation, this is a great add-on. Not only does it have all the must-have features like Lifetime Maps and Traffic, it is also voice activated and includes support for Bluetooth hands-free calls and reads your text messages out loud. 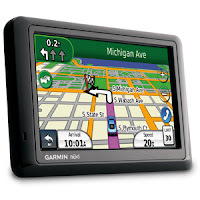 Garmin's new Guidance 3.0 service offers an even more intuitive user-interface with pinch-to-zoom multi-touch features. Digital 3D Traffic provides real-time (every 30 seconds) updates and the system will work to dynamically route you around new traffic situations. The 3490LMT is a sleek, attractive device that is 9mm thick and features a 4.3" monitor that displays landmarks and terrain in 3D. In past years I have faulted TomTom for their user interfaces and it seemed like they were trying to appeal to the more geeky, gadget-savvy demographic. If you had fun tweaking several options to get where you wanted to go...their product was for you. 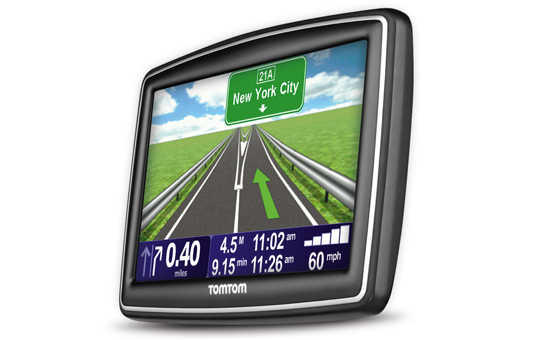 The good news is TomTom has begun to make their products much more user friends and features some great advances in usability such as the "Google Local Search" and more intuitive setup screens found in their recently introduced TomTom Go Live 2535M. The device includes a 5-inch display and has a retail price of $300 and a street price around $270. 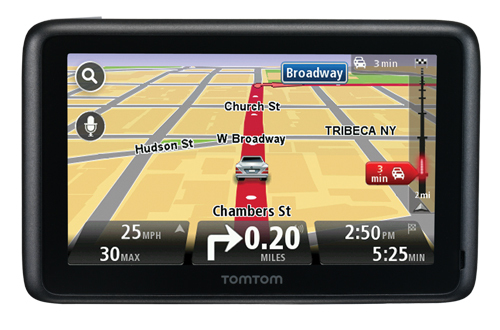 To further aid your navigation needs, TomTom has included Voice Commands and Bluetooth hands-free calling. Their IQ Routes feature presents the fastest route based on the time and day of the week. I will say that the reason TomTom seems to have successful is their routing logic and I would say this continues to be true. The 2535M is a very reliable device that seems to do quite well in getting you from "Point A" to "Point B" pretty efficiently. The Live traffic information seems to be more up-to-date that the old ClearChannel FM subscription solutions of the past. 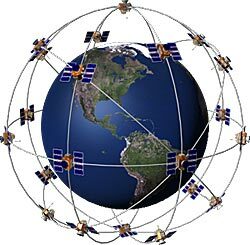 Obviously most smartphones and tablets include a GPS in them today and feature an online mapping tool like Google Maps. But automated turn-by-turn with voice guidance tends to be an additional option in the form of a cell carrier extra feature or an app you need to download. 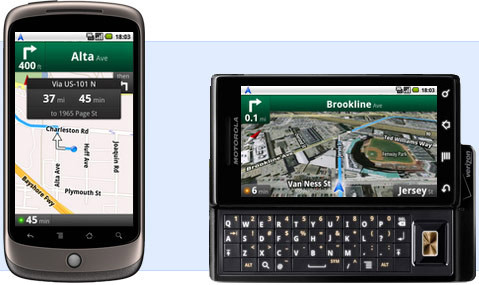 Goggle Maps for mobile "beta" is available for Android devices and features free turn-based GPS navigation. It includes 3D Maps, Offline functionality for areas you regularly travel, Voice Search, Street View and Traffic. All in all, it is a good, feature-rich but not a very flashy solution...and free for Android users. For non-Android users, Google Maps is just a mapping tool that can help you plan out your trip but lacks real-time updating and voice announcements. I'll do a full write-up on the navigation software packages available for smart-devices in a future posting but currently I use Navigon for the iPhone in case you are curious. Based on the mapset they each rely on there definitely seems to be a preference between Garmin in the US and TomTom in Europe but both products also work well in either part of the world. I really like the Garmin Nuvi interface and believe they represent the easiest products to use overall. The Nuvi 1490 LMT is a great product for the price but if you can live without some features check out the entire 1400 series for the right one for the dollars for you. Please be sure to comment below and share your experiences with these or other GPS/navigation products. You can also follow me on Twitter or Facebook.